Extend the range of your Red Dot Sight! No need to choose between the close-quarters advantage of a red dot sight, and the long-range benefits of a scope. Get the best of both worlds with a simple flip of the magnifier. Designed for use with “absolute cowitness” red dot sights, like the AT3 RD-50 with .83” riser. When the Spacer is used this may be used with the AT3 LEOS. 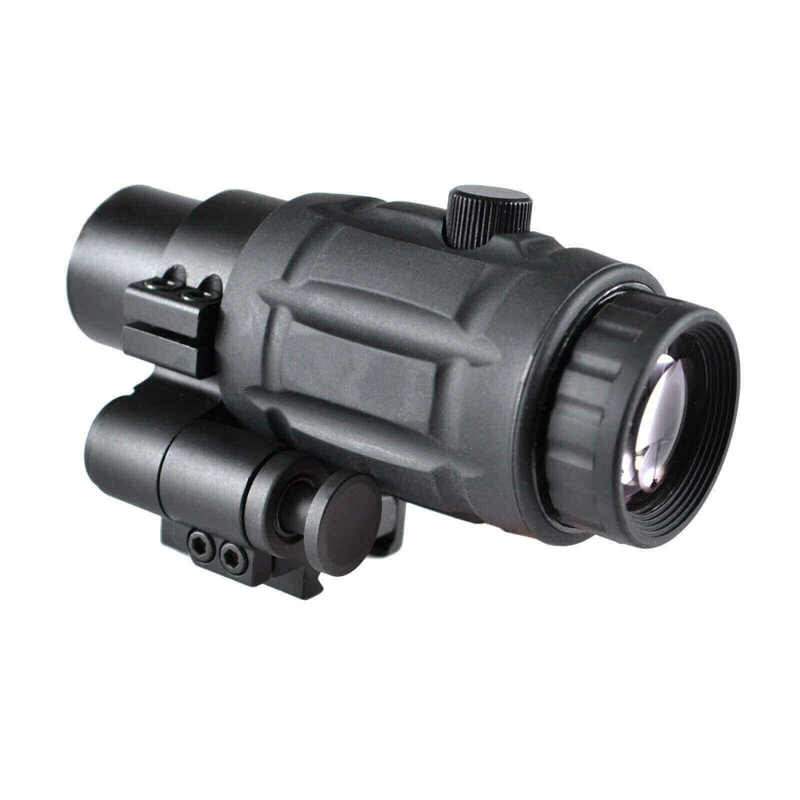 Can be used with taller sights, but the magnifier body will sit slightly lower than the red dot body. I was a little hesitant about buying an open box item such as this but the magnifier was in like new condition and works great. The magnifier itself is very well designed and constructed. I had a few questions about adjusting the mount which were answered very quickly by AT3 support. The magnifier sits behind an RD-50 which I am equally pleased with.